So it's probably moving to about 4, or 8 ish? Will you remachine the bell housing,to allow for bigger bolts on the top half? Currently it's at around 10 o'clock, I need to swing it down to around 8 o'clock ideally, no need to drill any holes out they are all in the right place. Was meaning on the lower section, the bit you move up.... are blot sizes an issue? Ah right I see, no there's no problem with bolt holes in that area. Time to reveal what I am doing with this Altezza / v6 combo. 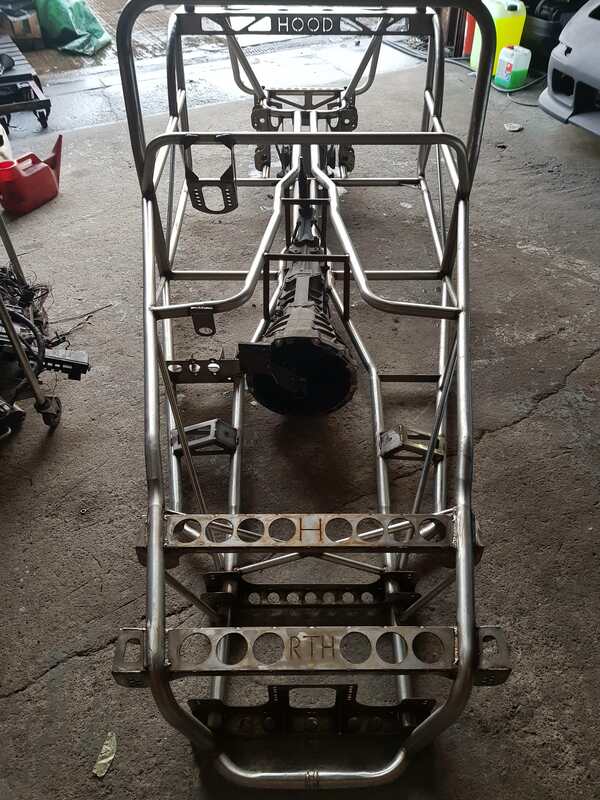 This is a Hood chassis, not to be confused with the Robin Hood of similar design, only 8 of these full tubular stainless steel frames were ever built, they are widebody versions of the super 7 made to take v6 Or v8 engines. 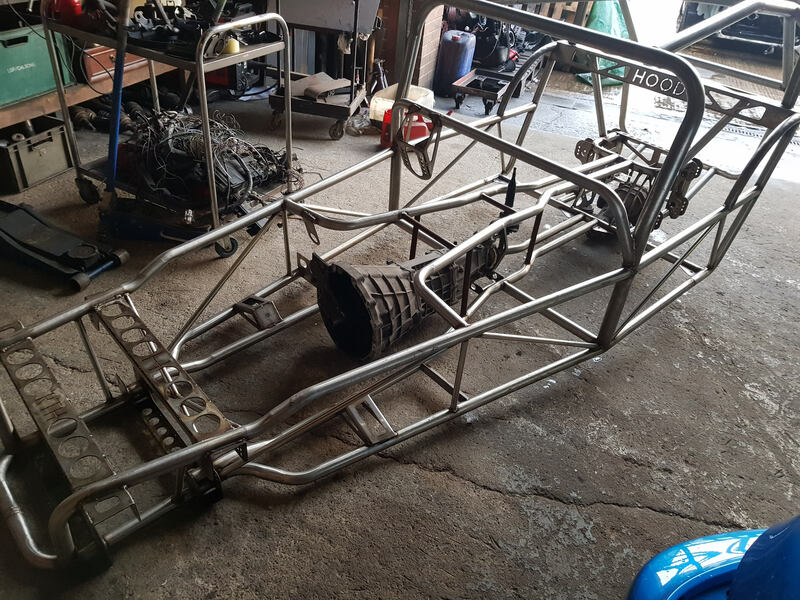 Quite simply a work of art chassis wise, here it is with gearbox and diff thrown in place. Is this the one you swapped Tommy tank for? No I've just bought this one. I'd have that, more power then weight......what could possibly go wrong? 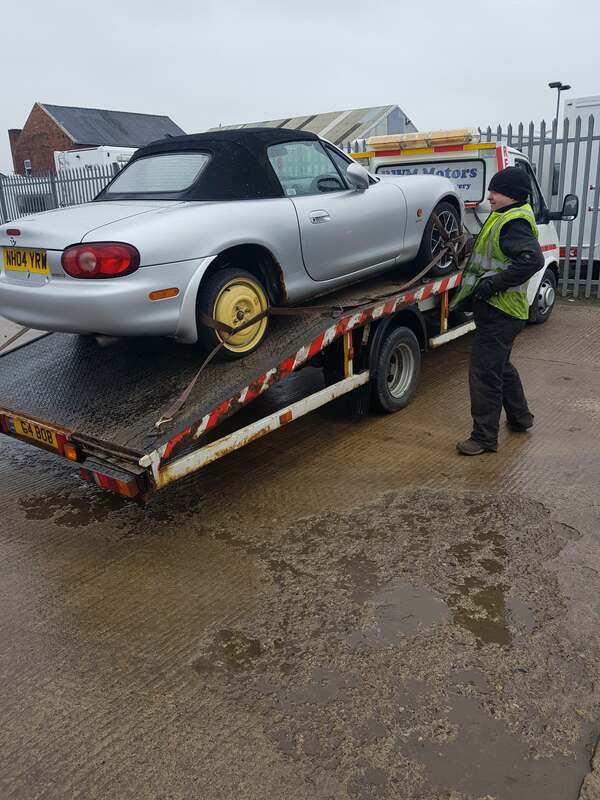 The donor mx5 arrived today, 2004 euphonic model with 65k on the clock, bought for £250 groats, this will give me hubs, steering, brakes, wiring harness and all switches etc, it's engine and box will end up in my other Robin Hood, almost every part of this car will be recycled.